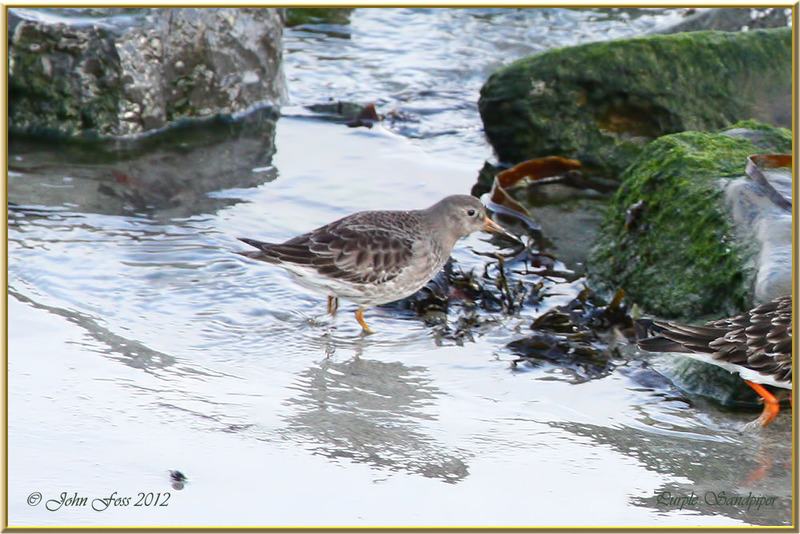 Purple Sandpiper - Breeds on coasts,mountainsides and marshes. 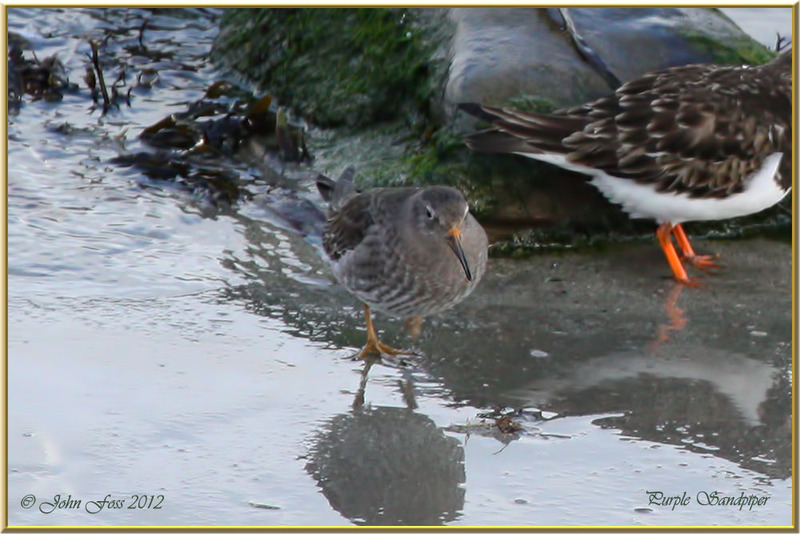 Distinguishable by the yellow legs and yellow at the base of the bill. 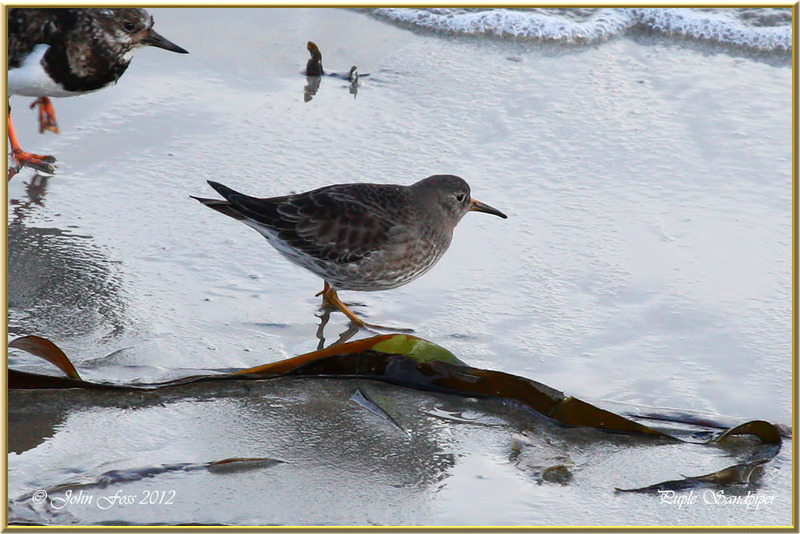 often seen wading with Turnstones as in some of these images. Photographed at Mullaghmore Co. Sligo.